As learning and development professionals, we talk a lot about models. The arguments in favor of (or against) ADDIE vs SAM alone could—and have—filled books. In this interview series, we will look at models that are near and dear to ATD-OC: model volunteers. Don’t worry. This isn’t going to be a lesson in how to volunteer with endless enthusiasm, boundless energy, and unflinching dedication (although any of those would, of course, be welcome). Rather, we’ll talk with volunteers who are real people facing opportunities and challenges with success and sometimes failure. We hope by exploring these models, you’ll see facets of your own professional journey and goals, as well as a path to volunteering. Our first interview is with Jeffrey Hansler, a talent development veteran. We talked with Jeffrey to find out what made him want to volunteer with ATD-OC, the skills and competencies he brought to the table, and his strategy for making the most of his volunteer experience. At the time that Jeffrey Hansler volunteered to serve as the VP of Marketing for ATD-OC in 2013, he had already achieved many career successes: from being a top sales representative for Apple Computer, to leading an international accounting and manufacturing software company, to following his entrepreneurial calling and opening his own consulting business in 1990 (initially focusing on training; and since 2006, Organizational Development). Amidst this success, Jeffrey was attracted to serve on the ATD-OC Board for two reasons. One, he saw changes in the learning and development industry—changes driven by technology and ways in which companies approached employee learning—created opportunities for ATD-OC to serve its members in new and innovative ways. And two, he recognized by helping to lead ATD-OC through a period of innovation, he would have the opportunity to hone his own self-proclaimed “rusty” skills. So, while serving as VP of Marketing for ATD-OC in 2013, he threw his hat in the ring to lead the Chapter, and was elevated to President-Elect in 2014. One of his first actions as President-Elect was to ask for help. “I sought out a few people on the Board who I had developed trust with and told them, ‘I’m using this opportunity to develop my leadership skills. Will you help me?’” Jeffrey recalled. The act of deliberately identifying those with the skills and willingness to help set Jeffrey on the path towards receiving mentoring and guidance during a time of significant change in the organization. He began meeting every other week with Kathleen Ashelford (then Past-President) and Jolynn Atkins (then President) for what Jolynn coined “PrezConnects.” The group would talk through ideas and challenges they were facing, drawing upon each other’s experience and rallying one another to keep forward progress. Jeffrey’s own skillset supports this assertion. When asked what competencies positioned him for success as a volunteer, he said, “My experience in organizational development has given me the ability to read an audience. I’ve also developed communication and strategic planning skills over the years.” It doesn’t hurt that he thrives on change and pushing innovation. There have been some bumps along the way—“it surprised me how long things take to get done with a volunteer vs. paid board”—still he’s extremely pleased with what the group has accomplished in the past five years. Jeffrey is an experienced executive, leader, and talent development specialist with expertise in leading business development initiatives. As an organizational development consultant and managing partner of Oxford Company Consultants, he works with companies on the initial implementation of innovative programs during major change initiatives. He has consulted and conducted professional training programs since 1980 and currently serves as an executive board member for two privately-held California Corporations and two non-profits, including ATD-OC. He received the ATD-OC Belisle Leadership Award in 2015. Jeffrey is also a Certified Speaking Professional, Certified Selling Professional and NAUI Instructor. He wrote and published Sell, Little Red Hen! Sell! and Better Golf with Gene. There were five key takeaways that Paul Signorelli shared throughout last week’s chapter meeting on Blended/Hybrid Learning Environments. Perhaps to nobody’s surprise, our hybrid event about engaging participants in hybrid events quickly became a case study that applied all of them. 1. Learn from others We reconnected with Paul Signorelli last year at ATD's Southern California Regional Conference, where he shared his thoughts on how learning environments are expanding and engaging a global community of learners. We’ve been applying hybrid events off and on over the past two years. What techniques could we apply to engage our Chapter’s expanding virtual population? We tried a few things, and decided that we wanted more. 2. Push the Envelope (Experiment) We collaborated with Mr. Signorelli to create a hybrid learning environment that both exemplified his message and experimented with activating the hybrid format to promote virtual brainstorming among participants. This would be no mere lecture, but an experiential opportunity in which we would bridge the digital divide that exists between the classroom and the “virtual” environment. We rehearsed how best to utilize GoToTraining to share webcam video, slide decks, and Google Docs. We practiced implementing our activities, sussing out the quirks of our platforms, and identifying the system features to highlight. What we did not directly test? Room audio. A lesson learned here: get in the room with all your equipment during “normal business hours,” so the person with the expertise to trouble-shoot the gap between your equipment and the venue’s resources is available. Even when we arrived two hours before the event in an attempt to get everything up and running, we ran into trouble in this one area. The hotel staff was mystified -- they had just held a meeting in the same room in which twelve microphones worked fine. But for our meeting, the house speakers would not work at all, effectively separating us from our facilitator as he sat patiently in San Francisco, mugging for the webcam, chatting with our four other online participants. Our “Plan B” was to have me facilitate the session using our virtual facilitator’s notes. In my opinion, this would have been a far cry from the passion that Paul Signorelli brings to subject matter, so I pressed on. I believe it was Seneca who said: “Luck is what happens when preparation meets opportunity.” Minutes before the program was scheduled to begin, we got lucky. It was simple enough to work. Our Learning Event boasted two activities which apply Google Docs to engage both online and in-class learners working on the same content. The first activity, which involved creating a letter one word at a time, was more frustrating than engaging. I’d like to try it again, using smaller groups in breakout rooms, to see how that would operate. The second activity worked a bit better -- we’d given the learners a document in which each participant could claim a space to type their views on the document, and then go back and review and augment the comments made by other individuals. You can see the results here. Seriously. Take the time to test everything. With the expert in the room. Remember your Plan B exists for a reason, and accept it. Everything worked out in the end, but we were lucky. Paul reminds me that it is part and parcel of an experiential learning environment for participants to see that things don’t always happen perfectly, and there’s as much an opportunity for them to learn in seeing us apply the work-arounds. If you agree with him, let us know in the comments. Make sure your backup kit incorporates all aspects of the event you are about to facilitate. I had packed video backup. I had packed microphone backup. The only reason I had speaker backup was a quirk of fate and Twitter (ask me if you’re curious). From now on, that speaker is sure to be a part of my training kit, a Plan “C” audio component to use when the fancy stuff decides it doesn’t want to work. It's no doubt that Articulate has made a big splash in the eLearning industry over the past few years. From Studio to Storyline to Storyline 365, their focus on rapid authoring has made eLearning a more palatable solution for corporations that want the training solution to be fast and inexpensive. 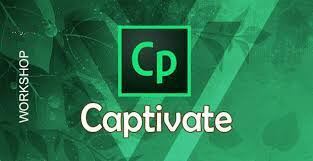 Behind it all, Adobe has been slugging away with its eLearning powerhouse software: Captivate. Originating what seems like ages ago as Macromedia RoboDemo, Adobe has turned their authorware into a tool that allows you granular control of your online learning intervention. Most recently the company has been at the forefront of responsive eLearning design, creating a template that readily allows you to deliver training on all manner of devices. Which is why the Training and Technology SIG is working primarily with Adobe Captivate. We discuss eLearning design on a general level, but specifically dive into Adobe Captivate when creating content. The software has made its name in technology demonstrations, and our client organization, OneOC, uses Adobe Captivate for its eLearning authorware. It's also one of the reasons why ATD Orange County is offering a workshop on Adobe Captivate this June 7. It's an opportunity for those who have developed a passion for eLearning, but are weak utilizing systems outside the Articulate Suite, to expand their skillset, broaden their arsenal, and deepen their understanding of what's possible within eLearning. So if you're ready to explore the similarities and differences between the eLearning authorware you know and the eLearning authorware you want to know, check out how ATD-Orange County can expose you to new horizons! Training and Technology SIG meets every third Thursday of the month. Check out our calendar of events for our next "public" meeting. The Adobe Captivate workshop will be held this June 7. "'Learners don’t care about application sharing or virtual reality,' she says. Instead, developers and facilitators need to explain to them what they are going to learn and just let the tools 'fall into the backdrop.'" Paul Signorelli, facilitator for "Blended 2018: A Hands-On Evening of Engagement" (see our event scheduled for May 23) would agree. He likes to tell the story of when he himself was so immersed in a blended learning program, a pen was thrown toward the camera and he reached out to catch it. This article from ATD National Insights shares a point shared by several of our presenters this year. "Just because we have new delivery tools 'the importance of design isn't going away.'" It’s with distinct pleasure that we share that ATD-Orange County has been nominated for a Spirit of Volunteerism award! For nearly 30 years, OneOC has offered this award “to honor the service of the individuals, teams, and businesses that make our community a stronger and more vibrant place to live, work and play.” In this case, they’re honoring the efforts of our Training and Technology Special Interest Group. The Special Interest Group of the Association for Talent Development Orange County Chapter has been working diligently for over a year on a virtual learning project that will serve our nonprofits looking to post volunteer opportunities on our Volunteer calendar. It will serve as an on-demand learning tool for all nonprofits that are seeking to recruit volunteers – giving them the ability to learn, and re-learn if necessary, how to post to our website. It will also alleviate staff time that was utilized twice a week to run the training as a live webinar. By making this training more self-paced and accessible at any time, nonprofit professionals don’t have to wait to post, and can return back to the learning module should they need a refresher; something that was not possible when the training had to be led by an instructor via the webinar format. We are grateful for this group of professionals coming together with the passion and desire to make this training professional and effective for the sake of our nonprofit clients. It has not been an easy process with systems changing, and working with minimal budgets; not to mention that all the professionals within the group have full-time jobs. OneOC wants to honor them for their time and commitment to the project." Throughout the past year, these professionals have dedicated their time and effort both to learning how to maximize Adobe Captivate and to applying this new knowledge in the OneOC project. We’re proud to be a recipient of the Spirit of Volunteerism awards, and look forward to sharing our completed project with the Chapter. Those of you who attended January's flipped learning event may have been pleased to experience another opportunity to discuss flipped learning during this March's Learning Event, "Thinking Outside the Virtual Training Box." We haven't really been speaking too much about this, but our 2018 learning events program is not meant to be viewed as a series of exclusive events. Rather, these events are meant to build upon each other. Our March speaker, Corena Bahr, was excited to continue that discussion in her session, and to show how flipped learning could be implemented in a virtual training environment. We've excerpted that discussion below. Click the image below to launch our video. Think of this as a mini course* on flipped learning. This 6:26 video shows how we can apply the blended learning techniques we (may be) familiar with to the flipped learning model. This PBS NewsHour report shows how a high school just outside of Detroit took a chance on flipping its curriculum, and the results. Got anything you'd like to add to the conversation? Add your comments below! *Not micro-learning, mind you. This discussion is a little less than 20 minutes. Excited… About Webinar Training? We Are! Here’s Why. We started getting excited about this month’s Learning Event when we first spoke with Corena Bahr. We’d already viewed some of her web recordings on how to create engaging virtual training sessions. But in our introductory meeting, we learned that we had similar philosophies in web training design, saying: “Yes, and…” many times throughout the call. When designing virtual training, create each course as you would create any classroom-based course. Don’t start your design focusing on the fact that it will be delivered in a web training platform. Once the content is complete with activities meeting the stated objectives, sync your design with the platform. When designed with the platform in mind, virtual training often lacks the engagement that our participants seek. It’s not that designers fail to consider all that the platform has to offer, but rather they fail to incorporate all the opportunities for engagement that they would have applied had they had the full freedom of a classroom. The challenge, of course, is how to sync those engaging activities with a web platform. This is where Ms. Bahr’s expertise is invaluable. As the original webinar presenter, trainer, and technical writer for GoToWebinar and GoToTraining, Corena Bahr had spent years honing methods of creating authentic, highly interactive learning experiences that meet objectives and deliver value to those seeking to learn. This isn’t going to be your standard “how to do a web training” session. It’s going to be a “how to maximize your webinar” training. A “how to create a virtual classroom” training. We’re thrilled that Corena has agreed to join us this March to facilitate an interactive web session on creating engaging virtual training, using the platform with which she is intimately familiar -- GoToTraining. Join us not only to learn how to think outside the virtual training box, but also to observe all the techniques our webinar guru shares in our first ever virtual learning event. In his book: Crash and Learn, Jim Smith, Jr. explores many lessons learned over his storied talent development career. One of those lessons was about venue: having the right room for the program he was facilitating. It’s a lesson that came up when we reviewed the evaluations from last month’s event: the program was engaging and informative, but more could have been gleaned from the activity if people had just been able to hear. It’s this sort of “lessons learned” that had prompted February’s “Behind The Scenes” event on Launching A Successful Training Program. Each training program will face challenges to learning. Many of these challenges can be predicted and proactively addressed, providing some voice of experience points out where to look. Our voices of experience come from three distinct learning and development environments: non-profit, corporate, and independent consultant. Each individual will share their unique viewpoints to what makes or breaks a training program, and through our discussion we intend to find some commonalities for what can make a training program great. We are working to find a venue that can better support our growing needs. But this February 28th, we’ll still be meeting at the DoubleTree Club Hotel. Or you can participate online.